This drum produces a big, fun sound. 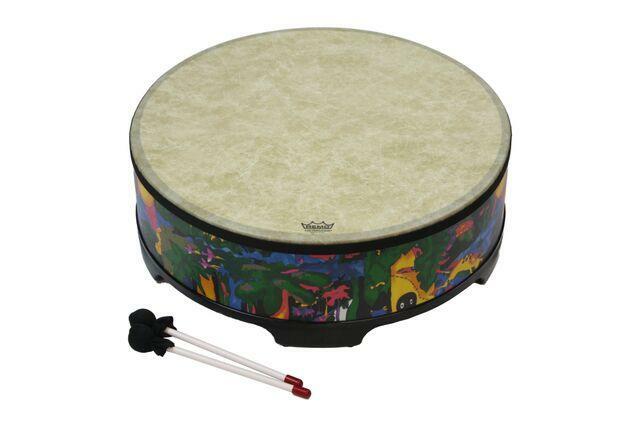 Comes with a vibrant Rainforest finish, the drum can be played with hands, mallets or sticks. This drum playfully introduces the basic building block of all music, which is rhythm and also produces outstanding, quality sound. Dimensions: 22" Dia. x H: 8"